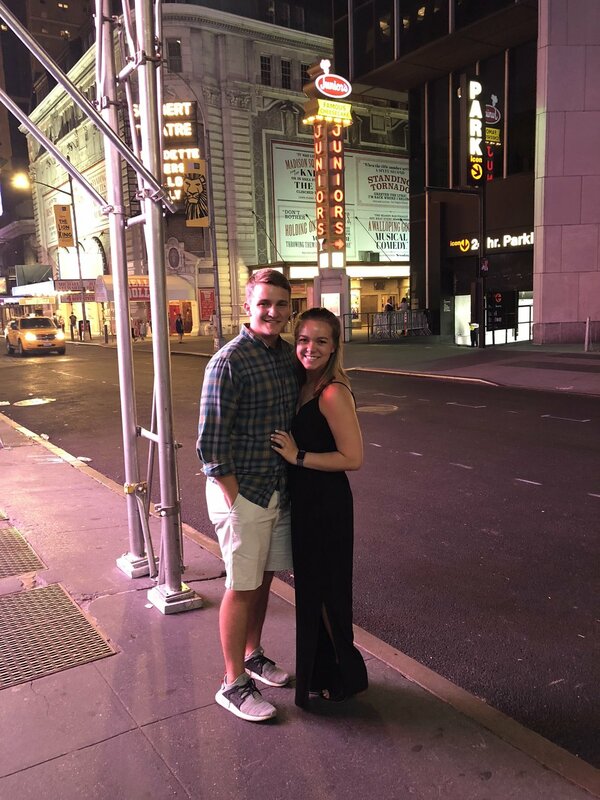 New York has so much to explore and we wanted to do it all!! Of course, we couldn't possibly fit it all into one trip, so we had to pick and choose what we saw. Today we went to see WICKED on Broadway!! I've been wanting to see this play for forever and it did not disappoint! I was blown away by the voices and how perfect they performed. However, despite the scary flying monkeys, the play was perfect! I left with their songs stuck in my head and as I write this post I can still hear them singing. If I had a voice like them I would walk around singing Broadway hits constantly. Sadly I don't, so I'll just keep the songs playing in my head and maybe do a little dance move here and there. Pictures do not do the Statue of Liberty justice! She is truly breathtaking! Did you miss the New York Files Part. 1? You can read them here!